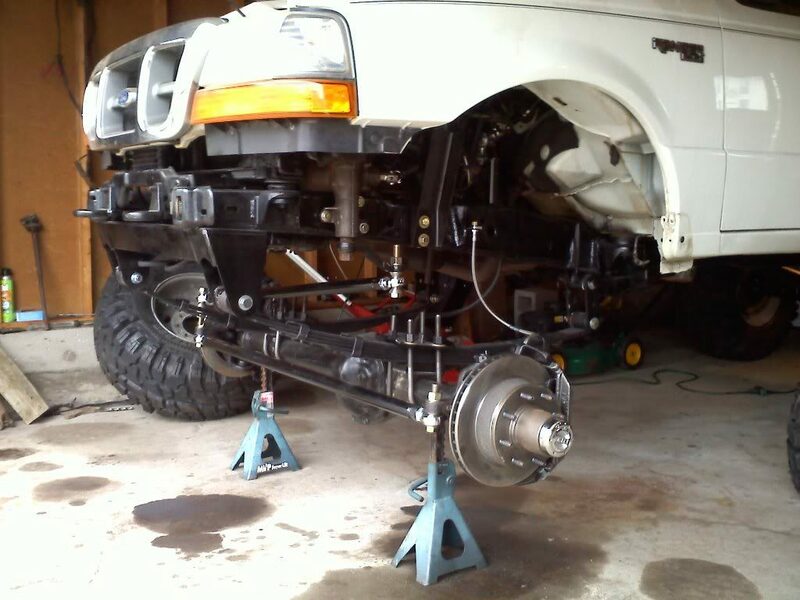 Seeing a 1998-2011 Ford Ranger converted to a solid front axle (SAS) isn’t all that rare, but it is rare to see one that’s been done with front leaf springs. 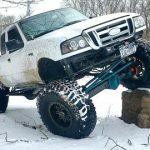 When forum member Ford78 built this 1999 Ford Ranger 3.0L 4×4, he decided to swap in a Dana 44 and use Rancho 44044 front leaf springs. 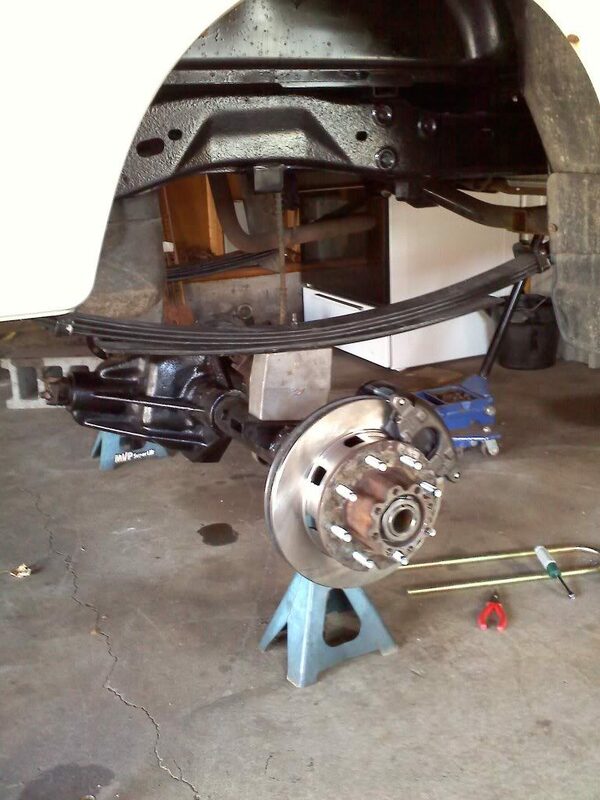 The Rancho 44044’s are a 2-1/2 inch front lift spring for the 1974-1989 Jeep J10, J20, and Wagoneer. They are 47-inches long with a 300 lbs./in. spring rate. 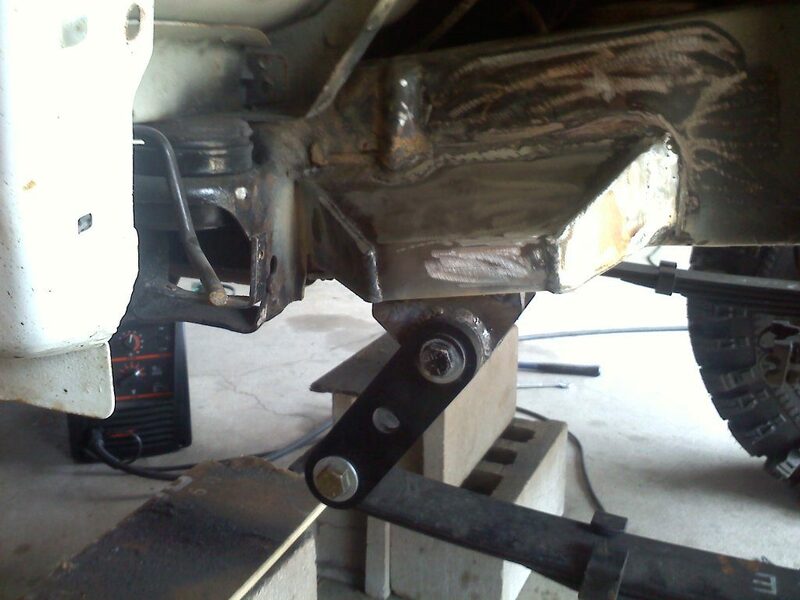 The front mounting bracket is a SAS hanger for a fullsize Chevy from Sky Offroad. 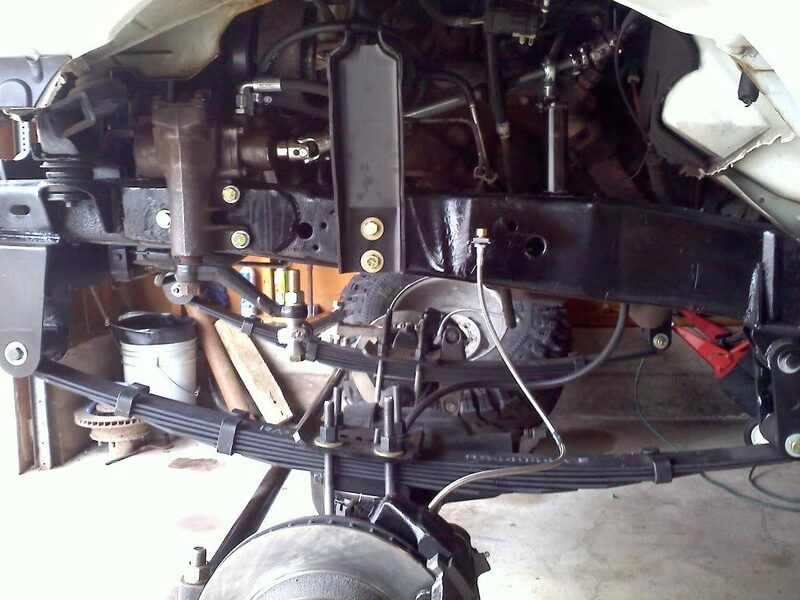 Ford78 mounted the front bracket where he wanted the axle to sit, and mounted the rear shackle where it had about a 45 degree angle. 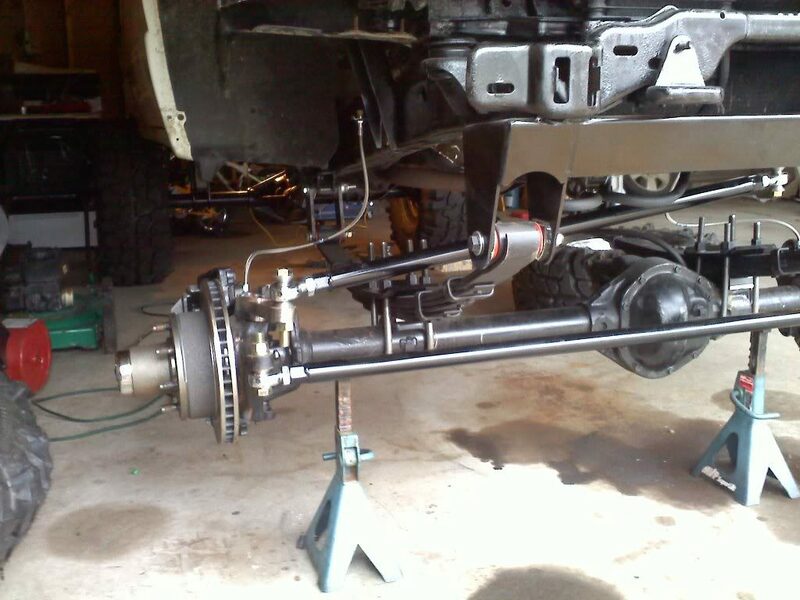 The front Dana 44 has been upgraded with Yukon chromoly shafts, 5.13 gears and a spool. 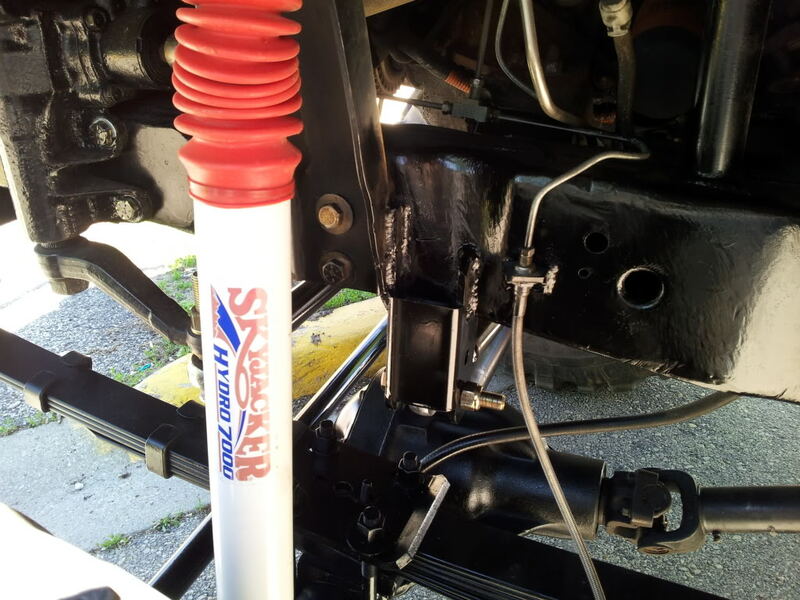 Part #450024 is the 24″ telescopic shaft. 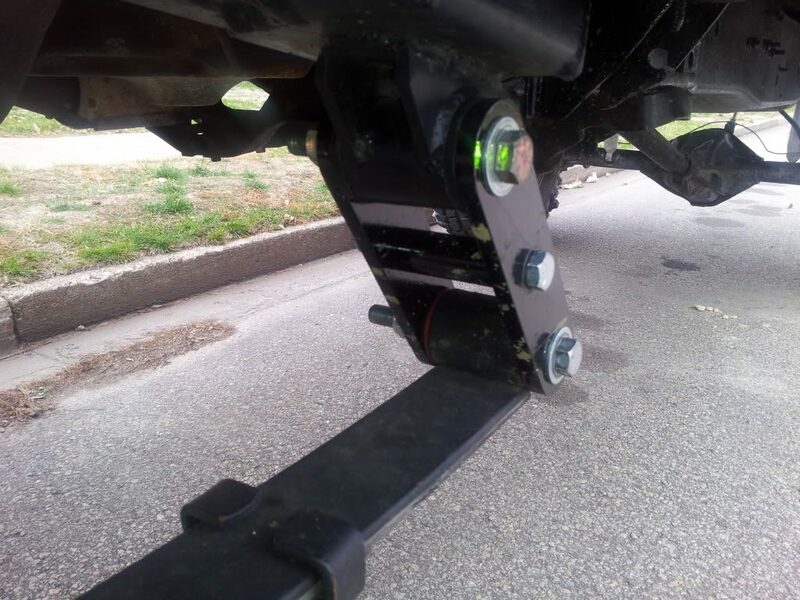 one side is 3/4 DD and the other side is 1″ DD. I did have to trim the shaft a little. 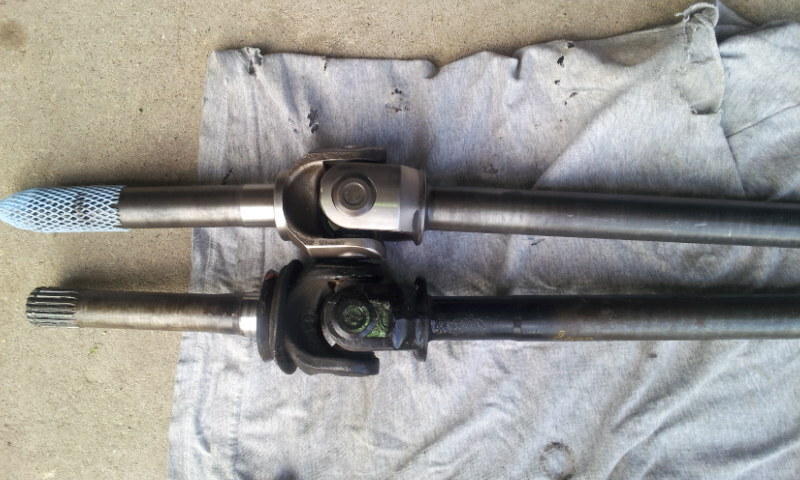 FR1810 – Is the support bearing that i used to support the shaft. 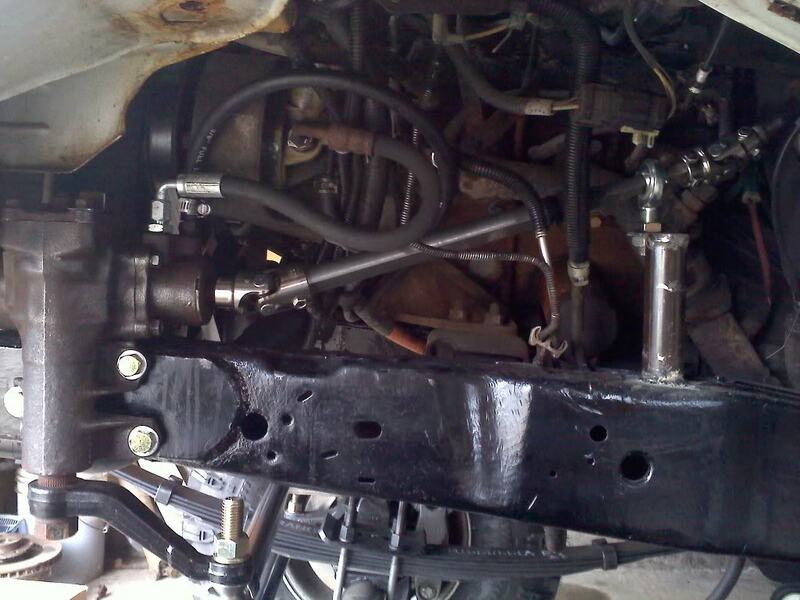 I think i got everything from Jegs, but you might be able to get the part cheaper elsewhere. 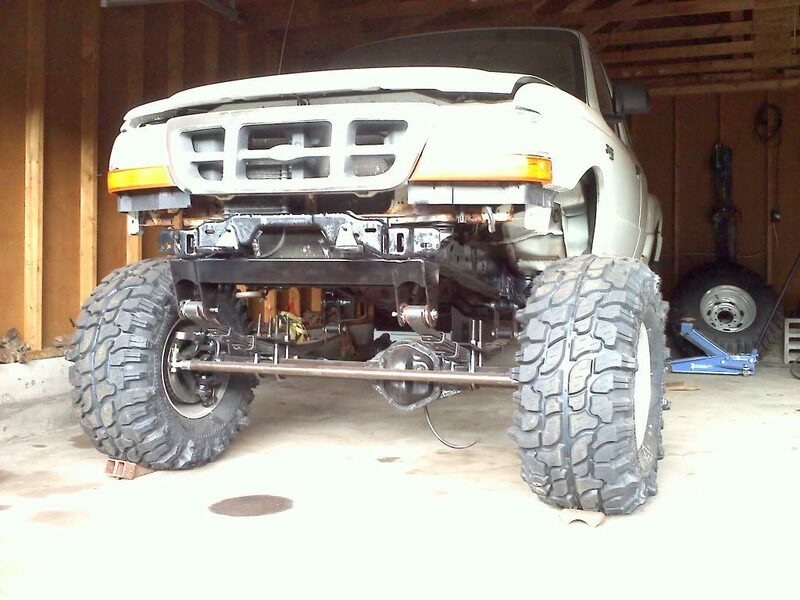 The rear axle is a Dana 60 that has also been re-geared with 5.13 gears and a spool. 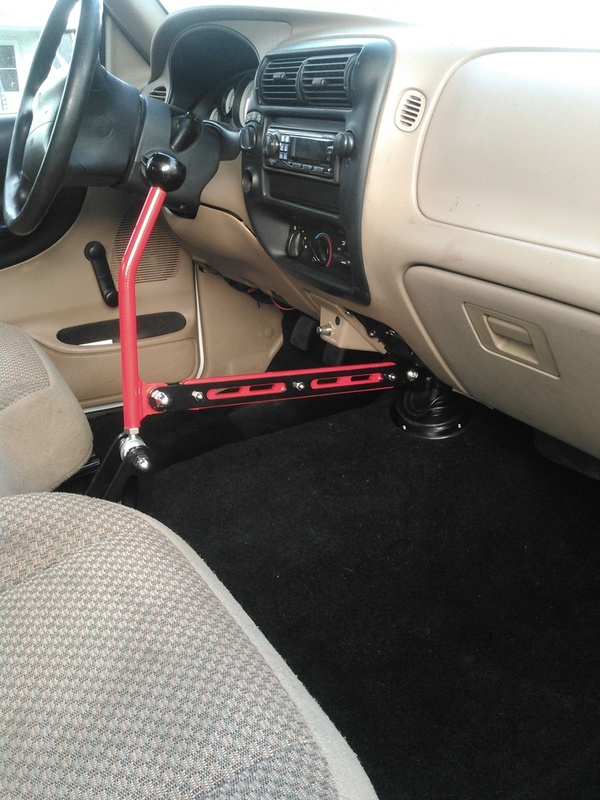 It’s mounted under the truck with a 6-inch lift spring, 5-inch lift block, and Chevy 2-inch lowering shackles. 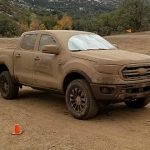 The Ranger got its speed input from the VSS in the stock rear axle. 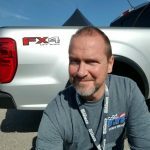 When Ford78 swapped in the Dana 60, he needed a VSS signal for the trucks computer / speedometer. 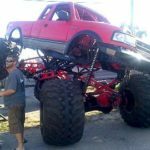 He accomplished this by adding a transfer case from a 1995-1997 Ford Ranger. How did he wire it? The case should be from a 95-97 Ranger and has a (2) wire plug harness. One wire should be gray with a black stripe, the other is pink with an orange stripe. 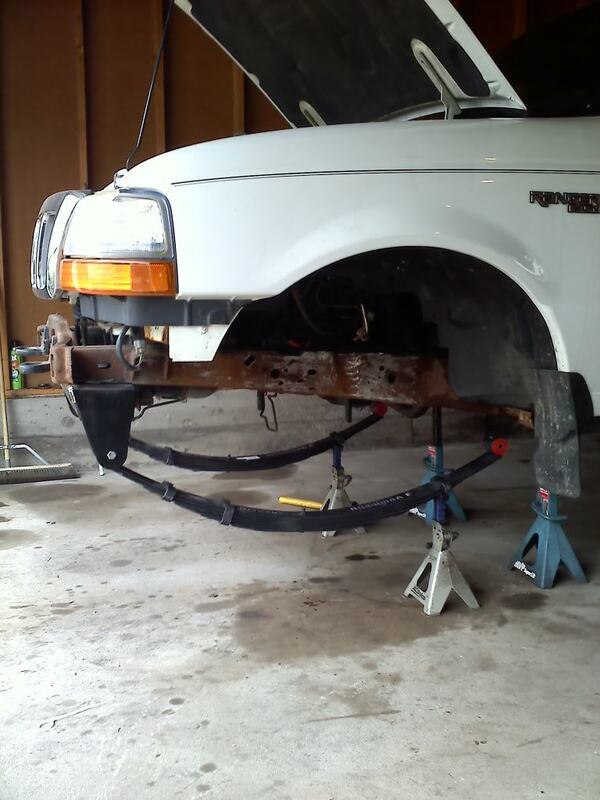 Make sure if you get the harness from a junk yard, you get a good 6-8 inches or more for splicing. You will be then splicing into the ABS Harness that goes to the abs module. Open up the harness and look for the gray wire with a black stripe. 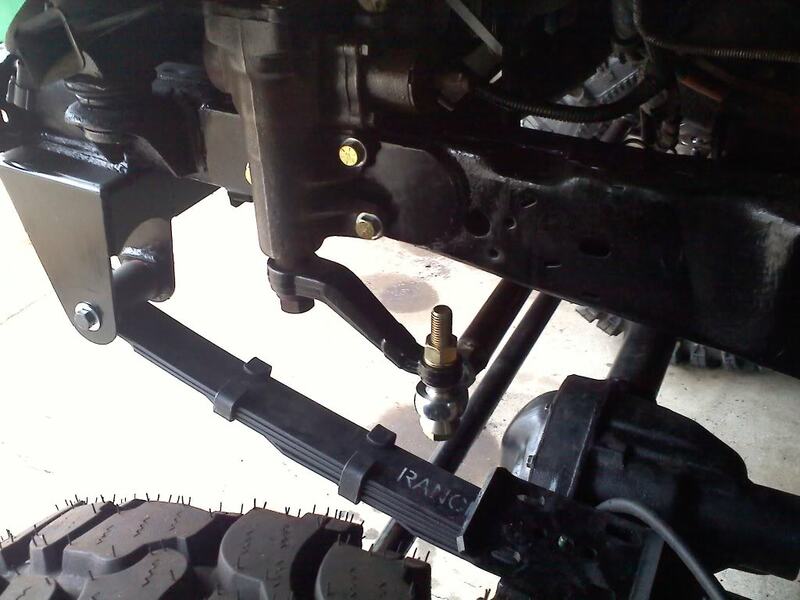 Cut that wire and extend the harness side of the wire down to the transfer case VSS sensor. Connect that to the gray/black wire on the VSS sensor. The pink/orange wire just needs to go to a good ground. 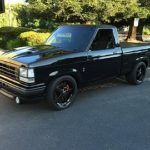 Ford78 drove with the 3.0L / automatic setup until the 3.0L died, and then swapped in a Ford 5.0L (carburetor) with a NP435 manual transmission, and NP205 manual transfer case. The exhaust finds its way out of the motor with help from Advance Adapters headers. 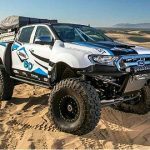 Ford78 has ran 39.5×15 tires on the truck, but the current setup is 37×12.5 tire Goodyear MTR’s. 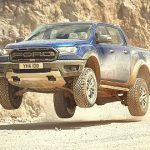 Although he didn’t originally build the track with a front trac-bar, he later added one to help the handling and steering. 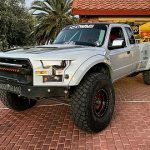 Other upgrades to the truck include a front bumper from RLC welding, and Superwinch winch. 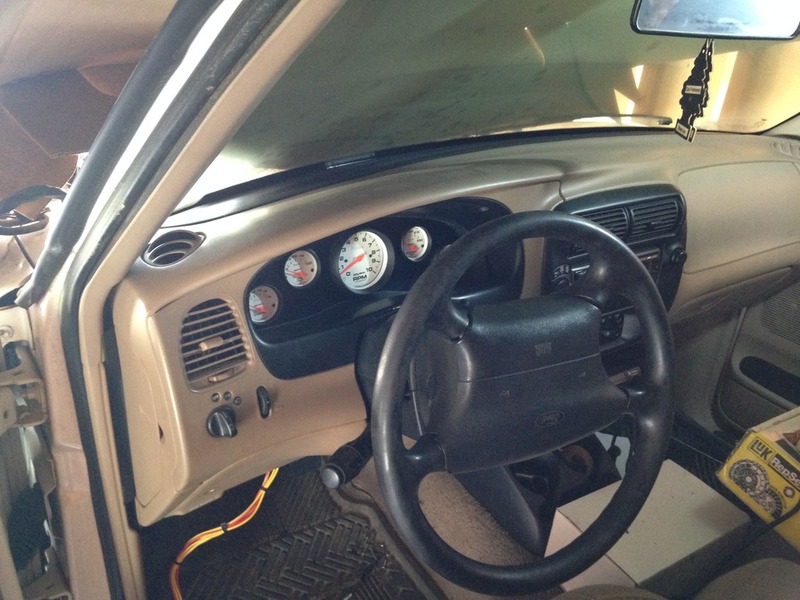 The interior received a panel with custom gauges, as well as a relocated shifter. 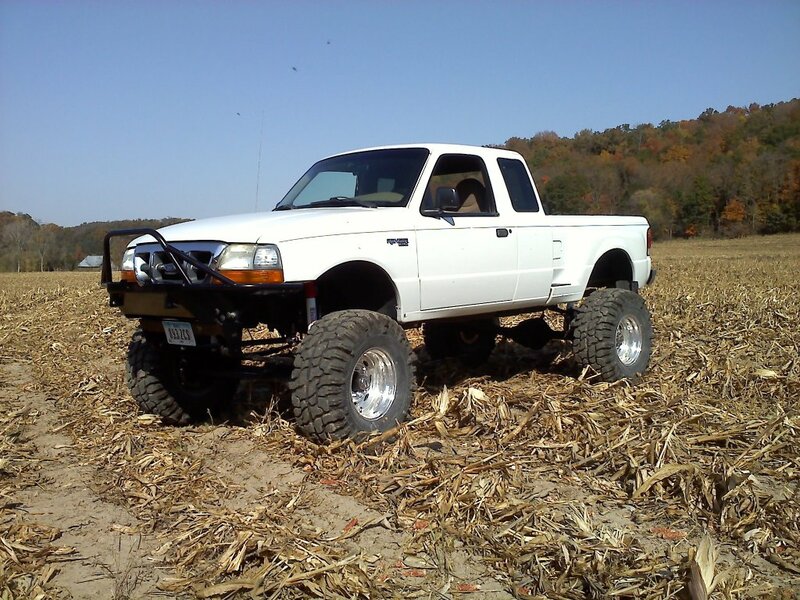 For more information check out 99 Ranger Build and My SAS Ranger.